Beautifully Decorated two tone mechanical wind up movement with rubies in place in the moving parts. 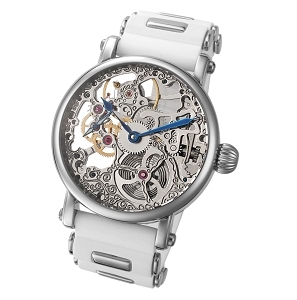 This is not only a very functional watch but also very captivating and mesmerizing to look at the skeletal movement in motion. The polished steel bezel adds elegance to the appearance. 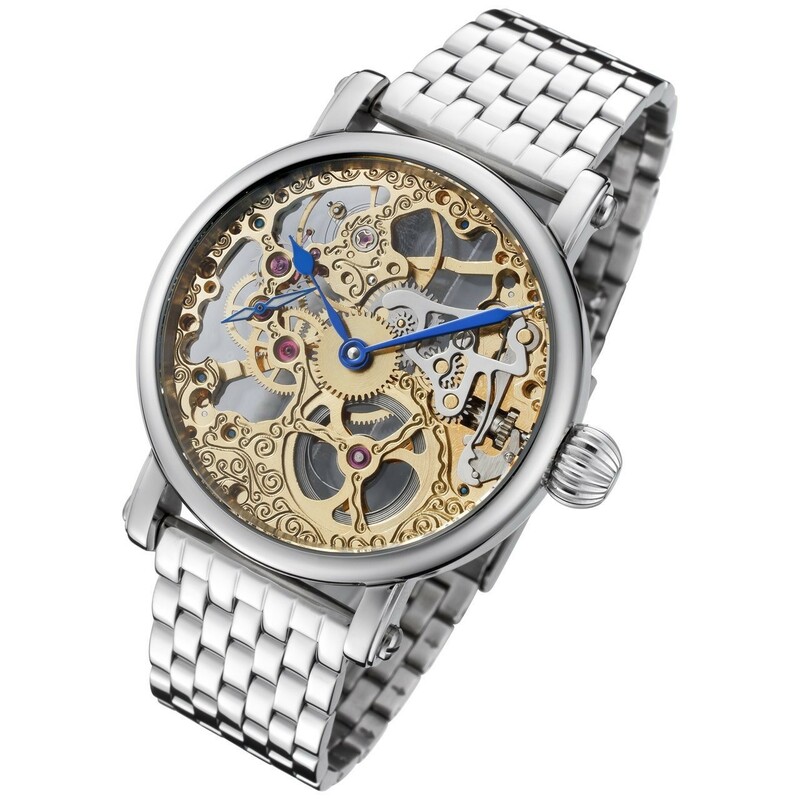 This is a very nice watch, runs real well at a very reasonable price, concidering other expensive skeleton watches out there(Invicta 3843-3846). 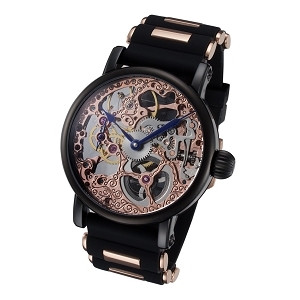 I like big and heavy watches and this one has decent weight to it though not the heaviest watch I that I own and is in the medium size category I would say, it's not too big for people that don't like big watches. 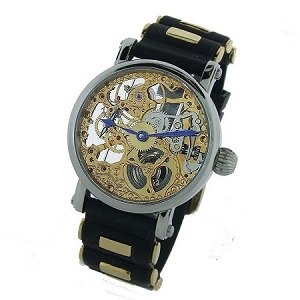 Now I've been shopping around for a while for a skeleton watch and even though I couldn't find much information about the Rougois company on the web, the reviews are very positive on these watches. 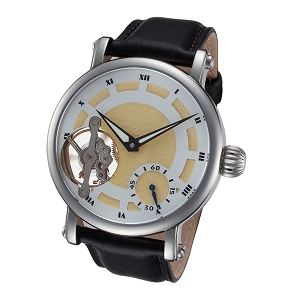 Overall I am very satisfied of this watch and will write future follow-ups. My name is Harold. I collect watches. 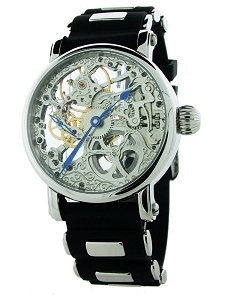 Over a year ago I added the Rougois two tone skeleton watch, ref # RMSS12 to my collection. A month ago I took 13 of my watches and put them to an accuracy test. In this test I have an Omega Seamaster De Ville, Tissot Seastar, Enicar Supertest, Enicar Ultrasonic, Gruen, Bulova, and others. Each watch was worn several times during the test and they were all wound twice a day, at the same time. They all were subject to the same environmental factors, such as temperature, humidity, etc. 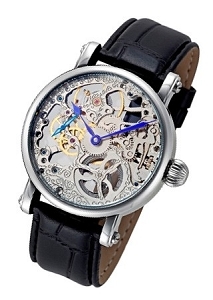 (All of these watches are, of course, mechanical hand winding). To my surprise the Rougois came in second on the test. It was just over 30 seconds fast at the end of the 30 day period. (not bad at all for a movement not advertised as COSC certified). The Rougois actually beat out the Omega, which came in at 1 minute fast. 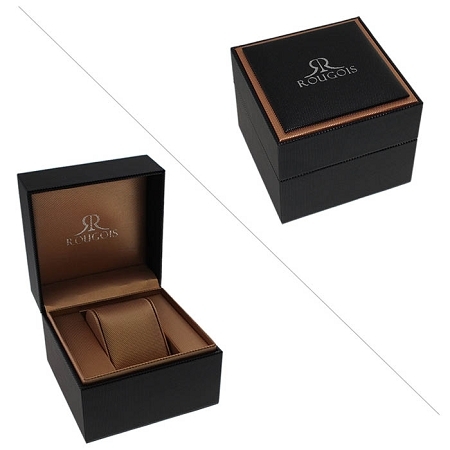 Rougois is often considered a "fashion" watch. But if these test results are indicative of the quality of the other models, then they should be upgraded to the level of a serious tool watch, and not just a fashion piece. I plan on putting other Rougois watches to the test now that I have seen this. Thank you for a precision time piece that is also a great looking watch.